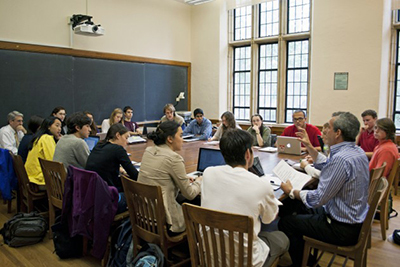 The Department of Sociology at Yale University provides concentrations in the fields of Comparative and Historical Sociology, Cultural Sociology and Social Theory, and Social Stratification and Life Course Research. In addition, faculty publish and teach in the areas of Gender and Sexuality, Political Sociology, Sociology of Religion, Economic Sociology, Urban Sociology and Ethnography, and Chinese Society. The Sociology department offers two undergraduate programs leading to the B.A. degree. The standard program provides a rigorous introduction to sociological concepts, theories, and methods. The combined program–sociology with another subject–introduces students to sociological perspectives, principles and research as a contribution to an interdisciplinary perspective on all fields in which social processes are relevant.